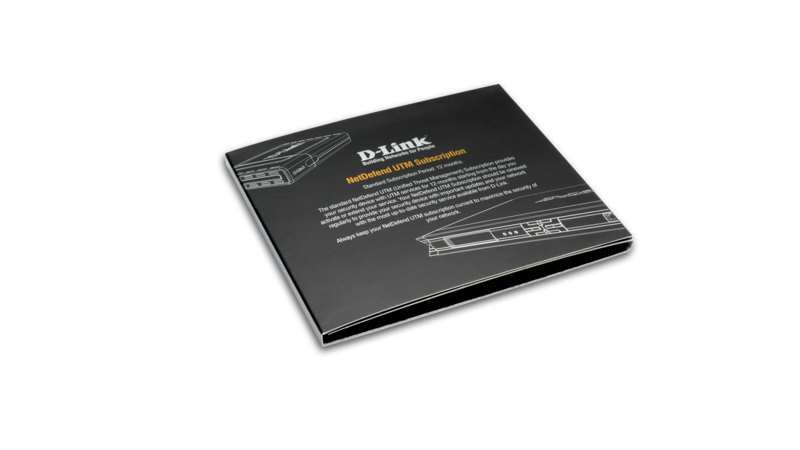 The D-Link DFL-260E NetDefend Unified Threat Management (UTM) firewall provides a powerful security solution to protect business networks from a wide variety of threats. UTM Firewalls offer a comprehensive defense against virus attacks, unauthorized intrusions, and harmful content, enhancing fundamental capabilities for managing, monitoring, and maintaining a healthy network. NetDefend UTM Firewalls provide advanced security features to manage, monitor, and maintain a healthy and secure network. Network management features include: Remote Management, Bandwidth Control Policies, URL Black/White Lists, Access Policies and SNMP. For network monitoring, these firewalls support e-mail alerts, system logs, consistency checks and real-time statistics. NetDefend UTM Firewalls integrate an intrusion detection and prevention system, gateway antivirus, and content filtering for superior Layer 7 content inspection protection. An acceleration engine increases throughput, while the real-time update service keeps the IPS information, antivirus signatures, and URL databases current. Combined, these enhancements help to protect the office network from application exploits, network worms, malicious code attacks, and provide everything a business needs to safely manage employee Internet access. NetDefend UTM Firewalls offer an integrated VPN Client and Server. This allows remote offices to securely connect to a head office or a trusted partner network. Mobile users working from home or remote locations can also safely connect to the office network to access company data and e-mail. NetDefend UTM Firewalls have hardware-based VPN engines to support and manage a large number of VPN configurations. They support IPSec, PPTP, and L2TP protocols in Client/Server mode and can handle pass-through traffic as well. Advanced VPN configuration options include: DES/3DES/AES/Twofish/Blowfish/CAST- 128 encryption, Manual or IKE/ISAKMP key management, Quick/Main/Aggressive Negotiation modes, and VPN authentication support using either an external RADIUS server or a large user database. Maintaining an effective defense against the various threats originating from the Internet requires that all three databases used by the NetDefend UTM Firewalls are kept up-to-date. In order to provide a robust defense, D-Link offers optional NetDefend Firewall UTM Service subscriptions which include updates for each aspect of defense: Intrusion Prevention Systems (IPS), Antivirus (AV) and Web Content Filtering (WCF). NetDefend UTM Subscriptions ensure that each of the firewall’s service databases are complete and effective. The NetDefend UTM Firewalls examine files of any size, using a stream-based virus scanning technology which eliminates the need to cache incoming files. This zero-cache scanning method not only increases inspection performance but also reduces network bottlenecks. NetDefend UTM firewalls use virus signatures from Kaspersky Labs to provide systems with reliable and accurate antivirus protection, as well as prompt signature updates. Consequentially, viruses and malware can be effectively blocked before they reach the network’s desktops or mobile devices. The standard NetDefend UTM Subscription provides your firewall with UTM service updates for 12 months1 starting from the day you activate or extend your service. The NetDefend UTM Subscription can be renewed regularly to provide your firewalls with the most up-to-date security service available from D-Link.